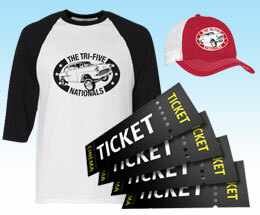 All racing teams and event promoters hope for great merchandise sales on race day, and they often achieve that goal. Some racers even sell a lot of items throughout the year. Especially the big guys, the national champions. But everyone isn’t a big guy, and their merchandise may not be moving as much as they would like. How are YOUR merchandise sales going on non-race days, or in the off-season? Could you use more of them? How much sales volume are you getting shortly each event ends? You are probably wondering what you can do to increase those sales numbers. We are offering you some ideas today. ProQ Motorsports Event software has built in capability to help you grow your sales. And it’s all in one place. This software was designed by a RACER for other RACERS to use, so it will fit your motorsports operation perfectly. Using ProQ’s built-in e-newsletter machine allows you to easily cross-promote upcoming events, communicate last-minute changes like change of location, and re-market to them in a more target-specific way. You don’t have to pay for an additional e-marketing service. Any information collected is directly reflected into your database. There is no time-consuming burden of downloading, uploading, and reformatting data. Everything is captured. Don’t confine your sales strategy to a walk-up trailer, or even to the new NASCAR climate-controlled mall layout. You can also sell directly to your existing and new fans via emailed promotions – both before and after an event. After you’ve started using ProQ, you’ll see that you are building up contact information for your fans who bought tickets for previous events. Market to those Contacts before an event. ProQ keeps a historical record of any merchandise they’ve bought earlier so you can see what type of items interest them. If they’ve bought several event T-shirts in the past, they will probably want another one. Sell it and send it to them early so they can wear it to the race. Or, make them a special deal on two shirts. They can buy one for their spouse or friend and save money. Use your existing data to figure out and recommend something they will want. The key to sales is offering the customer something they want at an affordable price. And for new Contacts, make them a deal, too! When a new Contact buys a ticket online, the system can be set to send them an automatic offer with a sale price for early purchase. You can take orders for pickup at the event, or send it to them when it’s ordered. All with very little effort from your staff. No need to keep a spreadsheet or a print paper copies of the order. ProQ has all the information safely stored for your use. After an event, you can send a newsletter to all the participants. Maybe you’ll want to have a special sale on the leftover merchandise. Don’t store it, sell it! In that same communication, you can market future events. “The 2018 tickets are already going fast. Register now to be sure you get in.” Use ProQ to make sales on both ends of your event – before and after. It doesn’t matter whether you are a Car Club, a Racing Team, a Track Promoter, an annual Auto Show, or have any other role. ProQ Motorsports Event Software can help you increase merchandise sales, or ticket sales, or memberships. We are dedicated to making your motorsports group more effective and more efficient. Call us today at 317-299-RACE to talk with an Integration Manager about your specific situation.